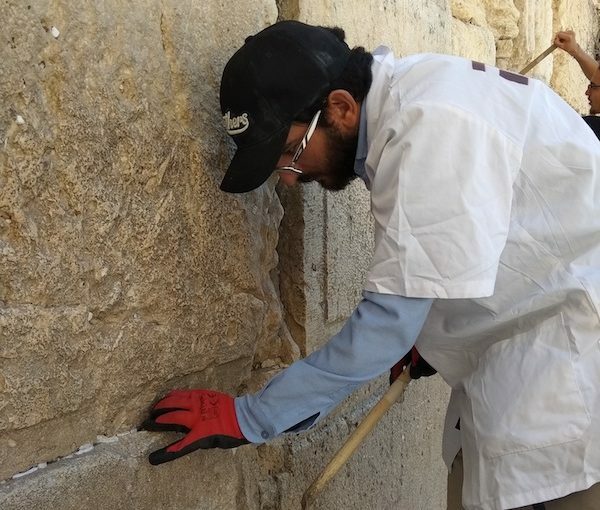 A cornerstone laying ceremony was held May 29, 2014, for the rebuilding of the Old City of Jerusalem’s Tiferet Yisrael Synagogue, which was dedicated in 1872 and dynamited by Jordan’s Arab Legion in 1948. The two politicians symbolically placed a stone salvaged from the ruined building, and construction was supposed to take three years, according to the Company for the Reconstruction and Development of the Jewish Quarter in the Old City of Jerusalem Ltd. (JQDC), a public company under the auspices of the Ministry of Construction and Housing. Fast forward to Dec. 31, 2018, and the exercise was repeated, this time with the participation of Jerusalem minister Zeev Elkin, construction minister Yoav Galant, deputy health minister Yaakov Litzman and Jerusalem Mayor Moshe Leon. But, this time, according to the JQDC, much of the project’s NIS 50 million (approximately $18 million Cdn) budget has been secured, in part thanks to anonymous overseas donors. With the Israel Antiquities Authority’s salvage dig of the Second Temple period site headed by Oren Gutfeld completed, work can now begin in earnest. Fundraising to purchase the land for the Tiferet Yisrael, also known as the Nisan Bak shul, was initiated in 1839 by Rabbi Israel Friedman of Ruzhyn, Ukraine, (1797-1850) and his disciple Rabbi Nisan Bak, also spelled Beck (1815-1889). While der Heiliger Ruzhiner (Holy Ruzhyner), as his Chassidim called him, purchased the hilltop in 1843, the mystic didn’t live to see construction begin. His ambitious plans in Jerusalem reflected his grandiose lifestyle in Sadhora, Bukovina, in Galicia’s Carpathian Mountains, pronounced Sadagóra in Yiddish. There, he lived in a palace with splendid furnishings, rode in a silver-handled carriage drawn by four white horses and, with an entourage, dressed like a nobleman, wore a golden skullcap and clothing with solid gold buttons, and was attended by servants in livery. This unusual manner was accepted and even praised by many of his contemporaries, who believed the Ruzhiner was elevating God’s glory through himself, the tzadik (righteous one), and that the splendour was intended to express the derekh hamalkhut (way of kingship) in the worship of God. In one incident, described in David Assaf’s The Regal Way: The Life and Times of Rabbi Israel of Ruzhin (Stanford University Press, 2002), the Ruzhiner’s Chassidim noticed that, notwithstanding that their rebbe was wearing golden boots, he was leaving bloody footprints in the snow. Only then did they realize that the gold was only a show and his shoes had no soles. Indeed, he was walking barefoot in the snow. Bak, who both designed the massive synagogue and served as its contractor, spent more than a decade fundraising and six years building it. Inaugurated on Aug. 19, 1872, he named the three-storey landmark in honour of his deceased rebbe. Tamar Hayardeni, in “The Kaiser’s Cap” (published in Segula magazine last year), wrote that, while the kaiser made a donation, the dome was in fact completed with funds provided by Rabbi Israel of Ruzhyn’s son, Rabbi Avrohom Yaakov of Sadhora (1820-1883). In the winter and spring of 1948, the dome served as a key Haganah military position and lookout point for the Jewish Quarter’s outgunned defenders. Children were recruited for the battle for Tiferet Yisrael. Some as young as 9 built defence positions. The “older” ones – 12 or so – carried messages, food, weapons and ammunition. Some were killed, including Grazia (Yaffa) Haroush, 16, and Nissim Gini, 9, who was the youngest fallen fighter in the War of Independence. Like the others who fell in the defence of the Jewish Quarter and were buried there, his remains were exhumed after 1967 and reinterred on the Mount of Olives. Badly damaged by heavy shelling, the synagogue was blown up by Jordanian sappers on May 21, 1948. A few days later, following the neighbourhood’s surrender on May 25, the nearby Hurva Synagogue – the main sanctuary of Jerusalem’s mitnagdim (anti-Chassidic Ashkenazi followers of the Vilna Gaon) – met the same fate. With the rebuilding of the Hurva completed by the JQDC in 2010, Tiferet Yisrael became the last major Old City synagogue destroyed in 1948 not rebuilt. Hurva is a stone-clad, concrete and steel facsimile of its original structure, updated to today’s building code and equipped with an elevator. The same is planned for Tiferet Yisrael. The reconstruction of faux historic synagogues has not been without critics. Writing in the Forward in 2007 as the Hurva was rising, historian Gavriel Rosenfeld, co-editor of Beyond Berlin: Twelve German Cities Confront the Nazi Past (University of Michigan Press, 2008), noted the manifold links between architecture, politics and memory. “The reconstruction of the Hurva seems to reflect an emotional longing to undo the past. It has long been recognized that efforts to restore ruins reflect a desire to forget the painful memories that they elicit. Calls to rebuild the World Trade Centre towers as they were before the Sept. 11, 2001, attacks represent a clear (if unrealized) instance of this yearning. And the recently completed reconstruction of Dresden’s famous Frauenkirche – long a heap of rubble after being flattened by Allied bombers in February 1945 – represents a notable example of translating this impulse into reality. “And yet, the reconstruction project is problematic, for in seeking to undo the verdict of the past, the project will end up denying it. Denial is inherent in the restoration of ruins, as is frequently shown by the arguments used to justify such projects. In Dresden, for example, many supporters of the Frauenkirche’s restoration portrayed themselves as the innocent inhabitants of a city that was unjustly bombed in 1945, thereby obscuring the city’s longtime support for the Nazi regime and its war of aggression during the years of the Third Reich. Similarly, the physical appearance of the restored Frauenkirche – despite its incorporation of some of the original church’s visibly scorched stones – has effectively eliminated the signs of the war that its ruin once vividly evoked. “In the case of the Hurva,” writes Rosenfeld, “the situation is somewhat different. If many Germans in Dresden emphasized their status as victims to justify rebuilding their ruined church, the Israeli campaign to reconstruct the Hurva will do precisely the opposite – namely, obscure traces of their victimization. As long as the Hurva stood as a hulking ruin, after all, it served as a reminder of Israeli suffering at the hands of the Jordanians. [Mayor Teddy] Kollek said as much in 1991, when he noted: ‘It is difficult to impress upon the world the degree of destruction the Jordanian authorities visited upon synagogues in the Old City…. The Hurva remnants are the clearest evidence we have today of that.’ Indeed, as a ruin, the Hurva served the same kind of function as sites such as Masada and Yad Vashem – which, by highlighting the tragedies of the Jewish past, helped to confirm the Israeli state as the chief guarantor of the Jewish people’s future. In 1953, Rabbi Mordechai Shlomo Friedman, the Boyaner Rebbe of New York, laid foundations for a new Ruzhiner Torah centre in west Jerusalem to replace the destroyed Tiferet Yisrael. Located on the western end of Malkhei Yisrael Street between the current Central Bus Station and Geula, the downtown of the Charedi city, the Ruzhiner yeshivah, Mesivta Tiferes Yisroel, was inaugurated in 1957 with the support of all of the Chassidic rebbes descended from Friedman, who was the first and only Ruzhiner Rebbe. However, his six sons and grandsons founded their own dynasties, collectively known as the “House of Ruzhin.” These dynasties, which follow many of the traditions of the Ruzhiner Rebbe, are Bohush, Boyan, Chortkov, Husiatyn, Sadigura and Shtefanest. The founders of the Vizhnitz, Skver and Vasloi Chassidic dynasties were related to the Ruzhiner Rebbe through his daughters. 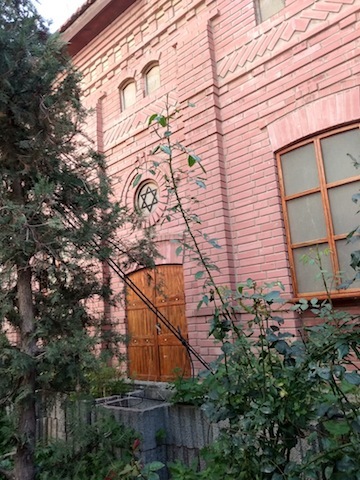 A grand synagogue built adjacent to the new Ruzhiner yeshivah also bears the name Tiferes Yisroel. The current Boyaner Rebbe, Nachum Dov Brayer, leads his disciples from there. 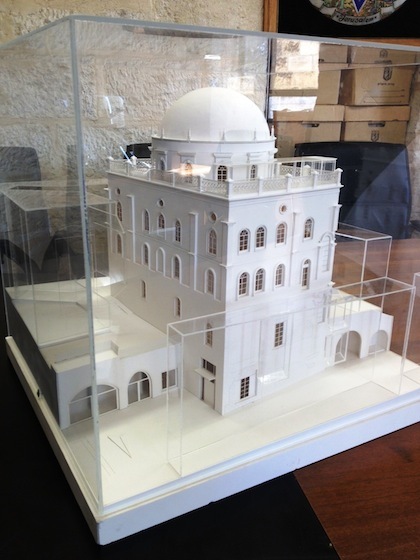 The design of the synagogue includes a large white dome, reminiscent of the original Tiferet Yisrael destroyed in 1948 and now being rebuilt. Miri Asulin personifies the contradictions of those who live in Israel’s cities and settlements bordering the Gaza Strip. 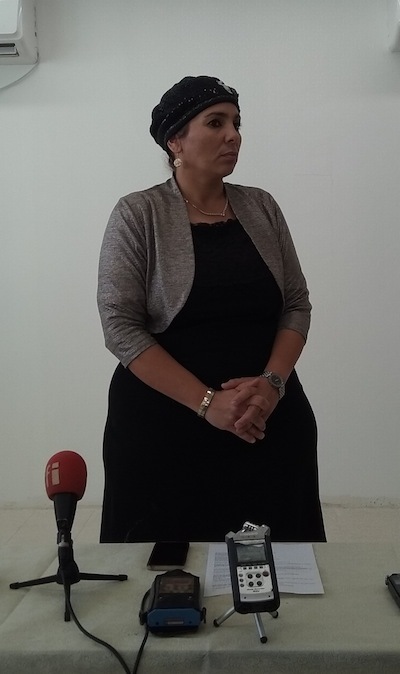 The 41-year-old mother of seven and principal of a brand-new elementary school in Ashkelon’s southern suburbs, 15 kilometres from the coastal enclave, commutes from her home in nearby Sderot, where she has been living for 26 years since she married. Until the barrage of 40 rockets fired from Gaza on the Sabbath of Oct. 26-27, she had dutifully and quietly followed Home Front Command orders. Though no one was killed in that bombardment, for Asulin it was the straw that broke the camel’s back. Addressing a pool of journalists in an air-conditioned classroom in her fortified building – the week before this Monday’s attacks from Gaza, which included more than 300 rockets or mortar bombs that day alone – Asulin asked that we not mention the name of her school since she has not received permission from the Ministry of Education to host the media. But she is unwilling to risk holding the interview outside on a pleasant fall day, lest a Colour Red rocket alert siren begin wailing. What was it like that Shabbat as the sirens went off? Asulin has witnessed the creeping paralysis of post-traumatic stress disorder. “Children have reverted to [being] bed-wetters, afraid to go to the bathroom alone. We’re going to have a generation of IDF soldiers who are traumatized,” she warned. Ninety-four percent of Sderot’s children have PTSD symptoms, she said. Mental health professionals treating PTSD say the best strategy for coping with psychological warfare is to maintain one’s daily routine. But those professionals urging resilience are themselves vulnerable and suffering from chronic burnout. “With a snake, you cut off its head,” she said. Calling for reprisal attacks, she urged the Israeli government to kill 10 Hamas terrorists for every rocket fired. 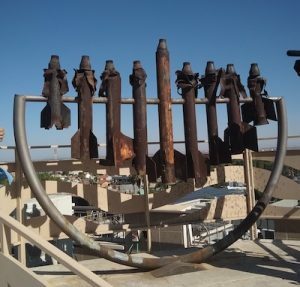 As visceral as Asulin’s trauma is, Sderot itself shows few signs of the 25,000 Qassam rockets and mortars that have targeted the city and nearby kibbutzim for 17 years, killing 56 people. The city of 26,000 has no shattered glass, no bomb craters and no burned-out buildings. Superficially, Sderot looks green and prosperous. Alon Davidi was reelected mayor in the Oct. 30 municipal elections, reflecting the satisfaction – or the apathy – of Sderot’s populace. 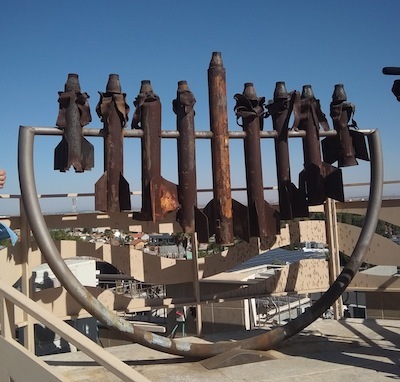 “Sderot is one of the most bombarded cities [in the world] since World War II,” according to Noam Bedein, the founder of the Sderot Media Centre. To his abiding frustration, there is no military solution to the rockets fired intermittently from Gaza, he said. Paradoxically, Sderot has been experiencing a construction boom in recent years, he explained. Founded in 1952 as a dumping ground for new immigrants from Morocco, the development town struggled in obscurity even as newcomers arrived from the Soviet Union, Ethiopia and India. The turning point came in 2013, he said, when the rail line opened, linking Sderot and nearby Ofakim and Netivot with Tel Aviv and Beer Sheva. Attracted by low real estate prices and tax benefits, tens of thousands of people have relocated to the former development towns and nearby communities. 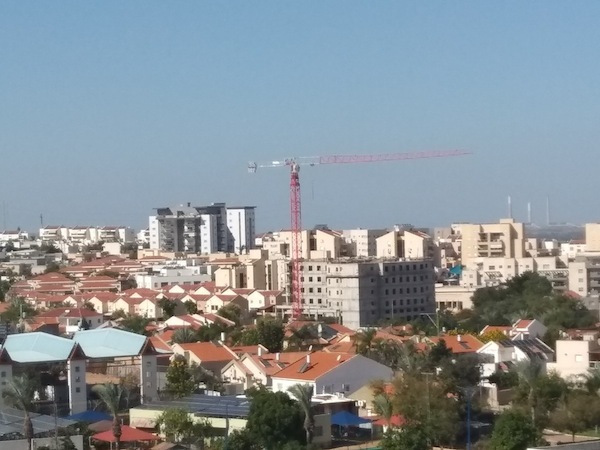 Construction cranes, new shopping malls and a burgeoning skyline of high-rise apartment towers reflect the wave of commuters who flock to Sderot’s underground train station. Two thousand apartments have been purchased in Sderot since the 2014 war. The population is projected to double in the coming years, to 50,000 people. Relatively few families abandon Sderot, in part because the value of their homes won’t allow them to purchase equivalent housing in the more expensive centre of Israel. Everywhere in the city, bomb shelters have sprouted like mushrooms after a rain, making Sderot the bomb shelter capital of the world. Hoping to lower the odds in the game of Russian roulette, the ubiquitous reinforced concrete structures have been strategically placed so that one can race to a shelter anywhere in the 15 seconds notice that the siren provides. Every bus stop has an adjoining shelter. A colourful concrete caterpillar crawls through a playground. There are no steel doors. Bedein explained that the precious seconds it takes a child to pull open a heavy door could mean the difference between life and death. Inside the caterpillar shelter, an orange line indicates where one can safely stand beyond the range of flying shrapnel. 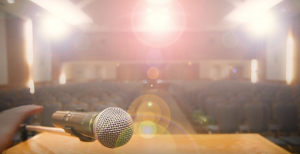 Rabbi Ari Katz, the director of public relations at Sderot’s Hesder Yeshiva – where soldiers combine religious studies with army service for five years – has broad perspective on the rockets targeting Sderot. Originally from Chicago, he lived in Gush Katif until 2005, when the Israeli government uprooted the 8,000 Jews living in the Gaza Strip. It was that unilateral disengagement, followed by the 2007 Hamas takeover of Gaza from the Palestinian Authority, which created the conditions for the current rocket campaign, he said. “We’re in a standing pattern, waiting to see what will be,” he said. Standing on the roof lookout point, which offers a panoramic view towards Gaza, one kilometre away, he proudly pointed to the new construction edging towards the frontier. A happy crowd of approximately 2,000 people – family and friends, along with eight members of the Knesset and assorted officials – arrived at Ben Gurion Airport in Israel at 6 a.m. on Aug. 15 to welcome the second plane of Nefesh b’Nefesh olim (immigrants) and returning citizens to touch down this summer. On board were 239 newcomers, including olim hailing from British Columbia, Ontario, Quebec, and 24 American states. The reception at Terminal 4, a hangar adjoining the tarmac, festooned with banners, featured hora dancing, shofar blowing, tears of joy and shouts of “welcome home” and “mazal tov.” The newcomers varied from babies to retirees, including 30 families, 90 children and three sets of twins. But it was the 57 soon-to-be-enlisted Israel Defence Forces lone soldiers, wearing T-shirts emblazoned in Hebrew with “Ascending to an army uniform,” who garnered most of the accolades. The program, affiliated with the Hebrew Scouts Movement in Israel and largely funded by the Ministry of Immigrant Absorption, facilitates service in the IDF and provides a support system for Israelis and Jews from the Diaspora serving in the army who do not have at least one parent living in Israel. Lone soldiers receive a higher basic salary from the IDF, as well as financial assistance from the Ministry of Immigrant Absorption and the Ministry of Housing. Lone soldiers in combat units receive a monthly salary of NIS 3,100 ($1,200 Cdn), according to the Garin Tzabar website, and they are given help with housing and the right to extra time off, including 30 days per year to visit family overseas. Gur-Arieh said she attended four Garin Tzabar programs in San Francisco, at her own expense, in anticipation of joining Zahal, the Hebrew acronym for the IDF. In heading to Israel, she is following a Gur-Arieh family tradition, she said – her two older sisters both served as lone soldiers, one as an artillery instructor and the other as a combat engineering instructor. Both became officers, she said with pride. One of her sisters is making a career in the IDF. Gur-Arieh doesn’t know where she will be serving since she hasn’t done the battery of physical and psychological tests that all draftees must complete before being assigned to a unit. Like her sisters, she, too, would like to be an instructor in a combat unit. Until she is drafted, Gur-Arieh – whose surname means lion cub – will be living at Kibbutz Kissufim on the Gaza periphery. Asked about the tensions in the south and the rockets, mortars and incendiary balloons and kites from Gaza that have targeted her adopted home, she was nonplussed. Founded in 2002, Nefesh b’Nefesh has assisted in bringing 57,000 Jews to Israel from Canada, the United States and Britain. The organization currently assists 3,200 soldiers in its lone soldier program. The Aug. 15 Nefesh b’Nefesh charter flight was paid for by Heidi Rothberg of Denver, Colo.
There’s only one thing missing from the comprehensive temporary exhibit Out of the Blue, which opened June 1 at the Bible Lands Museum Jerusalem (BLMJ) – the reek of the workshops along the Mediterranean coast of Phoenicia and Israel that produced the prized dyes known in antiquity as tekhelet and argaman. Researchers at the Jerusalem-based foundation Ptil Tekhelet (Blue Thread) maintain that some 8,000 Murex trunculus mollusks were needed to produce a single gram of the luxury pigment. A demonstration of the malodorous dyeing process was carried out – in the garden of the museum – with one of the marine gastropods. A person can only imagine the stink of many thousands of the rotting sea creatures. The Out of the Blue exhibit documents the significance of tekhelet, together with the Tyrian purple called argaman in the Torah, from antiquity to the present. Not coincidently, the exhibit opened in honour of Israel’s 70th anniversary. It traces the heavenly blue from the time it was a colour revered by the ancient Israelites and other early peoples of the Near East to its use for Israel’s national flag. “This special exhibition looks at the magnificence as well as the significance of the colour blue in the ancient world, and ties the blue dyed threads mentioned in the Bible and extra-biblical texts to the very design of the flag of the state of Israel today. BLMJ is proud to be the one museum in the world that highlights the relevance and continuity of the roots of civilization in this region and their impact on our world today in a universal and non-sectarian way,” said museum director Amanda Weiss. Out of the Blue spotlights ancient Near East cultures’ fascination with the colour as a symbol of divinity. In the Egypt of the pharaohs, Mesopotamia and Canaan, lapis lazuli imported at great cost from Afghanistan was used for cultic purposes. But, for this reviewer, the core of the exhibit deals with the dyeing of sky blue tzitziyot (ritual fringes affixed to Jews’ tallitot, prayer shawls). In the eighth century, following the Arab takeover of the Levant, that technology was lost. As a result, Jews were compelled to wear white rather than blue ritual fringes on their prayer garments. Research to rediscover the lost dyeing process of the biblical commandment became synonymous with Zionism, the Jewish people’s return to their biblical homeland. For more than 25 years, Ptil Tekhelet has dyed hundreds of thousands of sky blue tzitziyot coloured with murex snails’ distinctive tint. The azure tzitziyot remind worshippers of the sea, the sky and God’s sapphire-hewn throne, according to Tannaite sage Rabbi Meir, who was a disciple of Rabbi Akiba. The exhibit includes a collection of the snail (hilazon) shells excavated at Tel Shikmona near Haifa, and dating back to the 10th through seventh centuries BCE, according to Yehuda Kaplan, one of exhibit’s three curators. “You can see that, for some of them, there is a breach in the shell,” he said during a press tour of the exhibit. It was from those holes that a gland from the snail was extracted, with each yielding only a “minuscule” amount of the rare and highly coveted dye’s raw material. “These snails, the Murex trunculus, probably about 4,000 years ago it was discovered that they could produce magnificent dyes with the most beautiful colours, dyes that were fast on wool, never faded. And that was something in the ancient world that was simply unheard of, it was priceless,” said Dr. Baruch Sterman of Ptil Tekhelet, co-author of the book The Rarest Blue: The Remarkable Story of an Ancient Colour Lost to History and Rediscovered. Other artifacts on display include garment fragments discovered at Masada during archeological excavations in the early 1960s. More than 30 years later, tests using high-performance liquid chromatography (HPLC) proved the cloth had been dyed with a murex solution. Out of the Blue concludes with the flag flown outside the United Nations in New York in May 1949, when Israel was accepted as a member state of the international body. A second Israeli flag on display was carried into orbit aboard the American Apollo spacecraft, which docked with the Soviet Soyuz rocket on July 17, 1975, in the first international manned space flight. Sterman’s nonprofit amuta (foundation) is based on the research, in the 1980s, of Otto Elsner, a chemist at Ramat Gan’s Shenkar College of Engineering and Design, who discovered that, if a solution of the purple dye made from the hypobranchial gland of the Murex trunculus was exposed to the sun’s ultraviolet rays, it would turn a deep shade of blue. Popularizing that knowledge has been a slow process. 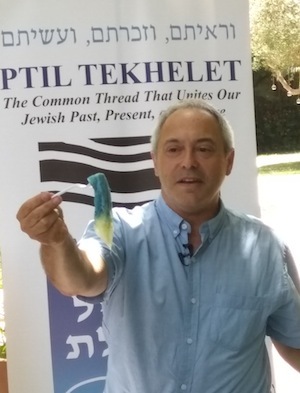 According to the Talmud, tekhelet is a specific azure dye produced from a sea creature known as a hilazon. Rabbinic sages ruled that vegetable indigo dyes were unacceptable. Over the past 150 years, several marine creatures were proposed for reviving the biblical process of dyeing the tassels, among them one favoured by Israel’s first chief rabbi, Isaac Herzog, father of Israel’s sixth president, Chaim Herzog. Rabbi Herzog, who completed his PhD at the Sorbonne in Paris in 1914, believed that the violet pelagic snail, Janthina janthina, was the source of the ritual tekhelet. Another theory was proposed half a century earlier by Rabbi Gershon Hanokh Leiner, known as the Radzyner Rebbe, who produced blue dye from the black ink of the Sepia officinalis (the common cuttlefish). But chemical analysis identified his dye as Prussian blue, an inorganic synthetic colour derived from iron filings and not from the squid itself. With Ramon International Airport beginning service on Oct. 28, officials hope that the state-of-the-art facility will boost tourism to the once-sleepy Red Sea resort of Eilat. But will a gleaming airport bring the crowds? 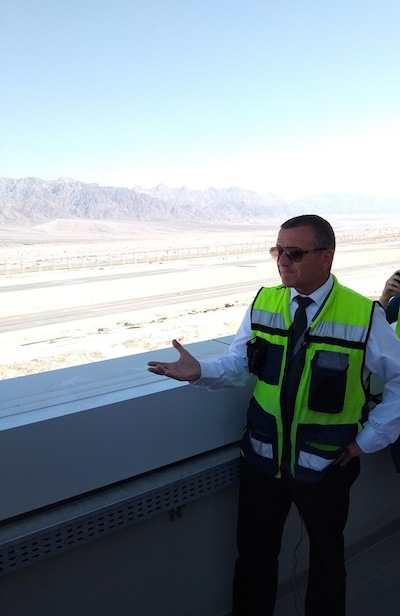 Perched on the 50-metre-high control tower during a March 19 media tour of the site, airport manager Hanan Moscovitz explained that the facility will replace Eilat’s Yaakov Hozman Airport, named after the founder of Arkia Airlines. While the current airport’s location is convenient for prop planes from Tel Aviv, it causes noise pollution and cuts off the city from its hotel district. The new airport is named after aviation heroes Ilan and Asaf Ramon. The former was Israel’s first astronaut; he perished in 2003, when the Columbia Space Shuttle exploded while reentering earth’s atmosphere. His son, Asaf, also an Israeli Air Force F-16 fighter pilot, was killed six years later in a jet crash. The Israel Airport Authority hired 160 construction workers from Moldova to build Ramon Airport. The total cost of the facility will be NIS 1.7 billion (more than $614 million Cdn). That investment will be partly recouped by the sale of the municipal airport’s land for hotels, condominiums and a convention centre. But why build an international airport for a city of only 60,000 people? “There’s no de-icing,” Moscovitz quipped. Blessed with 330 days of sunshine annually, Eilat makes an ideal winter holiday destination. A popular tourist stop in the 1990s, the city foundered after the Second Intifada broke out in 2000. As well, Eilat’s 12,000 hotel rooms couldn’t compete with the 100,000 budget rooms in the nearby Sinai’s luxurious resorts. But foreign visitors to Eilat have been on an upswing in recent years, Moscovitz explained, thanks to the Open Skies agreement with the European Union that was ratified in 2013. Boosting airplane arrivals to Eilat – which should reach 55 flights weekly this winter – will be nothing less than a revolution, according to Eilat Hotel Association director Shabi Shai. While only 60,000 foreign tourists arrived in 2015, that number more than doubled to 130,000 in 2016, and then rose to 210,000 last year. In 2017, Israel as a whole had a record year for tourism, with 3.6 million visitors. Some 400,000 people, the majority from Russia, are expected in the 2018/19 winter season, said Shai. In the past, many of those sun worshippers had preferred Egypt. But, on Oct. 31, 2015, a bomb smuggled onboard a charter en route to Saint Petersburg from Sharm El Sheikh exploded over Sinai. All 224 passengers and crew were killed. The 32,000-square-metre Ramon Airport terminal was designed by Tel Aviv’s Mann Shinar Architects, and Moshe Zur Architects. The building will initially handle up to two million passengers annually, and the airport’s control tower is equipped with an instrument landing system for the rare day the airport is fogged in. A drainage ditch will keep the runway dry, even in a once-in-70-years flash flood. Because of security concerns, the 3,600-metre-long tarmac will accommodate the largest commercial jumbo jets. During the 2014 Gaza conflict, known as Operation Protective Edge, a rocket fired from a Hamas-controlled coastal enclave toward Tel Aviv landed in Yehud, five kilometres from Ben-Gurion Airport. In response, the U.S. Federal Aviation Administration barred American carriers from landing at Ben-Gurion for nearly 48 hours. When foreign airlines followed suit, the Jewish state was effectively cut off because, with Ben-Gurion shuttered, Israel had no other airport with international capacity. To prevent this situation from happening again, Transportation Minister Israel Katz had Ramon Airport’s runway lengthened and increased the apron parking. Located alongside the Jordanian border, Ramon Airport has special security needs of its own. The facility’s exposed eastern flank is girded with both a fence and a 30-metre-high, 4.5-kilometre-long electronic barrier. The high-tech hurdle features sensors and detection technology to protect incoming and departing planes from shoulder-launched RPGs (rocket-propelled grenades) and other unnamed threats. For Tourism Minister Yariv Levin, Ramon Airport will support the continued revitalization of Israel’s southern city. “Incoming tourism to Eilat is breaking all records, and we are witnessing an extraordinary momentum of airlines opening new direct routes into the city,” he said. Shai, however, acknowledged that tourists don’t go to an airport but a destination. All the carefully prepared tourism plans could unravel if war broke out, he cautioned. But everyone in Israel, including in Eilat, is hoping that doesn’t happen. Among the many events this spring marking 70 years of Israel’s independence is the yahrzeit of Rebbe Avraham Mordechai Alter, known as the Imrei Emes, who served as the fourth admor (rabbinic sage) of the Gerrer Chassidim from 1905 until his death in Jerusalem on June 3, 1948, during Shavuot. Since the capital of the nascent Jewish state was under siege during the War of Independence, the rebbe’s disciples were unable to bury their sage in Mount of Olives Cemetery, where the pious have been laid to rest since biblical times. Unwilling to bury their master in the city’s improvised graveyard in the abandoned Palestinian village of Sheikh Bader (today Givat Ram), they instead turned his shtibl (small house of prayer) on Yehosef Shwartz Street near the Machane Yehuda food market into a mausoleum. The Sfas Emes Yeshiva, which Alter founded in 1925 during a visit to Palestine, and where he lived from 1940 – after escaping Nazi-occupied Poland when his followers paid an enormous bribe to gain his release – has today evolved into one of the most unusual shrines in Jerusalem. His son, Rabbi Pinchas Menachem Alter, the seventh Gerrer Rebbe, also resided in the yeshivah complex and was buried alongside his father in 1996. On the yahrzeits of the two rebbes, thousands of Gerrer Chassidim – who distinguish themselves from other Chassidic groups by placing their peyot (sidelocks) into their skullcaps and tucking their pants into their socks, called hoyzn-zokn – flock to the pilgrimage site. The decision to entomb Pinchas Alter, known as the Pnei Menachem, beside his father sparked opposition from the Jerusalem municipality, but the funeral went ahead. A red-brick ohel (tent) was erected over their twin graves, turning the courtyard into a holy site for the Gerrer Chassidim, who constitute the largest such ultra-Orthodox group in the country, numbering more than 100,000 members, who are concentrated in Jerusalem, Bnei Brak and Ashdod. The ohel includes separate men’s and women’s sections. A garden lies to the side of the ohel, and the façade of the adjoining building recalls the original Ger yeshivah in Góra Kalwaria, Poland – a small town on the Vistula River, 25 kilometres southeast of Warsaw. A partially open roof above the ohel permits ritual impurity from the dead to exit so that kohanim (Jews of the priestly caste) may visit the gravesite. Toronto businessman and philanthropist Daniel Goldberg wants to build on the fame of Jerusalem’s Gerrer shrine to secure and restore the sect’s historic home in Góra Kalwaria. The name means Mount Calvary or Skull Hill in Polish, explained Goldberg, whose mother’s family came from the area. But the town, called Ger or Gur in Yiddish, was also called Nowa Jerozolima (New Jerusalem), reflecting its holiness for both Jews and Christians. 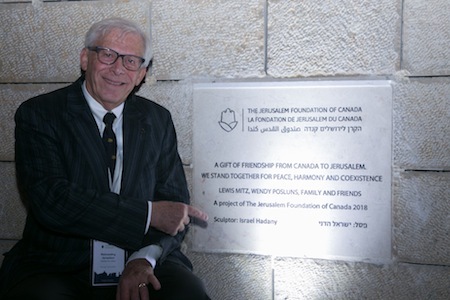 Goldberg, who together with other Canadian donors has supported the preservation of several historic synagogues in Hungary, views the restoration of Jewish landmarks in Góra Kalwaria as critical to combating antisemitism and acknowledging Poland’s complex role in the Holocaust. In 1802, Góra Kalwaria’s “de non tolerandis Judaeis” law prohibiting Jewish settlement was annulled, and Jews became the predominant ethnic group in the town, Goldberg noted. Between 1852 and 1939, the Jewish population tripled, from 1,161 (half of the town’s population) to around 3,600, as Góra Kalwaria became an important Chassidic centre. When the Nazis invaded Poland in September 1939, they immediately targeted Góra Kalwaria’s Jews. The town’s ethnic German mayor Ewald Jauke banned Jewish residents from engaging in trade, crafts and pigeon breeding. Jews were also forbidden from listening to radio broadcasts. A group of 100 Jews was conscripted daily in front of the town hall for forced labour. In the spring of 1940, some 400 Jews from Lodz, Pabianice, Aleksandrow, Sierpc, Wloclawek and Kalisz were deported to Góra Kalwaria. That June, a ghetto was established with 3,500 residents. The ghetto was liquidated Feb. 25-26, 1941. About 3,000 Jews were deported to the Warsaw Ghetto, and ultimately murdered in the summer of 1942 in the Treblinka death camp. Only 35 of Góra Kalwaria’s residents survived the war. The Jewish community was never reconstituted after liberation. For Goldberg, the coming 70th yahrzeit of the Imrei Emes and the controversial amendment to Poland’s 1998 Act on the Institute of National Remembrance by the country’s ruling Law and Justice party, criminalizing the words “Polish Holocaust,” offer an opportunity to celebrate Jews’ deep roots in the country. Goldberg wants to preserve the physical remains of Góra Kalwaria’s Jewish community. These include the 1903 synagogue building at ulica Pijarskiejj, now used as a shop. Across the street is a metal gate at the yard that marks the home and house of prayer of Rabbi Yitzhak Meir Alter (1798-1866), the founder of the Gerrer dynasty, known as the Chiddushei HaRim, after his primary rabbinic tome by that title. Above the entrance, one can still see the Magen David rosette window depicted in the Gerrer Jerusalem mausoleum. “I am continuing my efforts [in Góra Kalwaria and elsewhere] despite the discomfort it always causes politically with the local municipalities. No town or city likes to admit to antisemitism,” said Goldberg. treJerusalem and its environs have many historic trees, including the grove of gnarled olives in the Garden of Gethsemane, under which Jesus may have sheltered two millennia ago; the looming cypress planted by Godefroy de Bouillon, today the site of Hôpital Saint Louis, but where French knights camped in 1099 during the first Crusade; and the 700-year-old Kermes Oak that stands alone in Gush Etzion, south of the city. And now, there is another – a sapling seeded by Anne Frank’s white horse-chestnut tree in Amsterdam, which is growing at Yad Vashem, near its International Institute for Holocaust Research. Initially, Yad Vashem was concerned that the chestnut tree would not acclimate to Jerusalem’s long, dry summers, but it is doing well. For more than two years until her arrest on Aug. 4, 1944, Frank (1929-1945) hid in her family’s secret annex at Prinsengracht 263-265. Through a window in the attic that was not blacked out, she admired the chestnut tree, planted around 1850, that stood in the courtyard of a neighbouring residential block, at 188 Keizersgracht just north of the landmark Westerkerk. The tree was her only connection to the outside world and the changing seasons. For decades, the storied tree was cared for by Amsterdam’s Pius Floris Tree Care at the behest of the city’s Central Borough Council. In 2005, it was determined that the tree was ailing, and valiant efforts were made to save it. In the meantime, Anne Frank House asked permission of the tree’s owner to gather and germinate chestnuts. The saplings – grown and cared for by Bonte Hoek Nurseries – were donated to schools around the world named after Anne Frank, and other organizations. In 2009, 150 saplings of the tree were donated to Amsterdamse Bos woodland park. A sapling was recently planted in Vienna’s 2nd district – a neigbourhood that had many Jewish residents before the Anschluss in 1938. Another was planted in Ajaccio, Corsica, to honour the Righteous Among the Nations there. And 11 chestnut trees are growing in the United States, including one at Manhattan’s Liberty Park commemorating 9/11, thanks to the sapling project of the New York-based Anne Frank Centre for Mutual Respect. As for the original tree, in 2008, the Support Anne Frank Tree Foundation placed iron struts around it to prop it up, hoping the tree would remain standing for further decades. But it was already too rotten. During a violent rainstorm on Aug. 23, 2010, the tree collapsed together with the girders supporting it, leaving a one-metre high stump. On its website, the Dutch-based Support Anne Frank Tree Foundation responds to the question, was the battle to save the tree all for nothing? In Europe, the Giro d’Italia bicycle race ranks in status with baseball’s World Series or hockey’s Stanley Cup. Since the beloved Italian sports extravaganza’s initial race in 1909, the multi-stage race has never started outside Europe – until now. Next May, the annual event’s starting flag will be waved in the Holy City, thanks in big part to Sylvan Adams – the Montreal billionaire now living in Tel Aviv who himself is a competitive bicycle racer. Adams, 58, is funding the construction of the Middle East’s first Olympic velodrome, slated to open in Tel Aviv in May 2018, in time for the Israel-based initial part of the 23-day Giro d’Italia. The Israeli team is all but guaranteed to receive one of four wildcard invitations for the race. The bike-racing stadium, called simply the Velodrome, is part of the National Sports Centre being built by the Tel Aviv Foundation, by Mazor-First Architects. Located on Bechor Shitrit Street in the Hadar Yosef neighbourhood, the complex will gentrify a once-impoverished area. Budgeted at $11 million, the 7,100-square-metre biking facility will be jointly owned by the Olympic Committee of Israel and the Tel Aviv Municipality. Adams, who made aliyah in December 2015, is honorary president of the organizing committee of the race’s “Big Start” in Jerusalem. The three-week Giro is widely considered the most beautiful of cycling’s three Grand Tours, ahead of the sporting leviathan of the Tour de France and Spain’s lower-key Vuelta a España. Ministers from Israel and Italy met at Jerusalem’s Waldorf Astoria Hotel in September to sign an agreement that the opening three stages of next year’s Giro will be held in Israel. Like the other Grand Tours, the modern editions of the Giro d’Italia normally consist of 21 daylong segments (stages) over a 23-day period that includes two rest days. All of the stages are timed to the finish, each stage’s time added to the previous. The rider with the lowest total time is the leader of the race and gets to don the coveted pink jersey, called maglia rosa, worn by the leader of the general classification. Adams, who has until recently been publicity shy, today lives in a penthouse overlooking the Mediterranean and Tel Aviv’s sea-side bicycle path. A two-time world outdoor cycling champion in his age category, his most recent title was won at the World Masters Championship, held in Manchester, England, in November 2015. Adams, who began cycling competitively more than two decades ago, is a six-time Canadian and 15-time Quebec champion. He won four gold medals at two Pan-American meets, and a total of five golds at the 2009 and 2013 Maccabiah Games. His dream is to turn Tel Aviv into “the Amsterdam of the Middle East,” i.e. a city as bike-friendly as the Dutch capital. He believes something similar can be done in Tel Aviv, where traffic congestion and a parking shortage are reaching a crisis, as more and more motorists come in from “satellite” cities. “Petach Tikva, for example, is eight kilometres from the heart of Tel Aviv. That can take an hour to drive some mornings. By cycling, it is 20 to 30 minutes,” he said. Adams first visited Israel nearly four decades ago. He and his wife of 33 years, Margaret, a native of London, England, met while volunteering on a kibbutz. Now retired, Adams has given up his involvement with the family business, Iberville Developments Ltd., the real estate giant founded after the Second World War by his father, Marcel Adams, a Romanian-born Holocaust survivor. The younger Adams was its chief executive officer and his son Josh, one of his four children, is now running the company, one of the largest owners of commercial properties in Quebec.